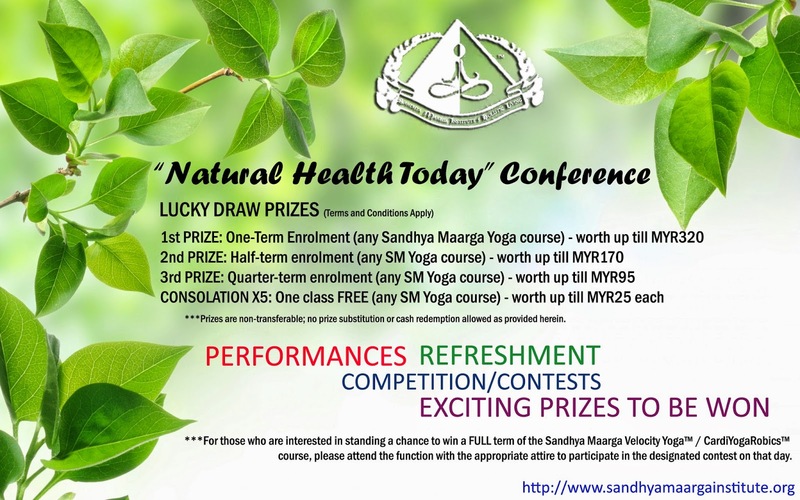 Sandhya Maarga Holistic Living Academy will be organising a conference titled "Natural Health Today" this coming June 2014 to mark the end of our academic year calendar. Along with this conference is our certificate presentation ceremony to mark the achievement(s) of our students. 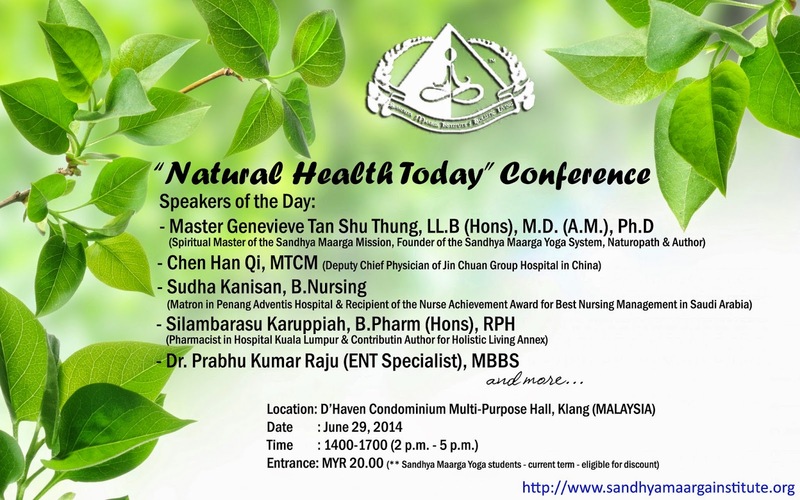 Qualified and experienced people from a diversed background in healthcare (both mainstream and alternative healthcare sector) will be delivering important health lectures that are sure to benefit all participants. 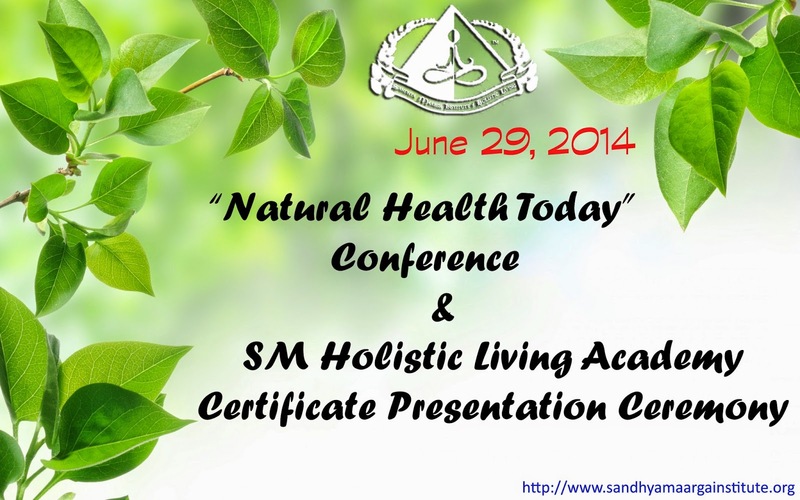 4) Introduction to Traditional Chinese Medicine (TCM). 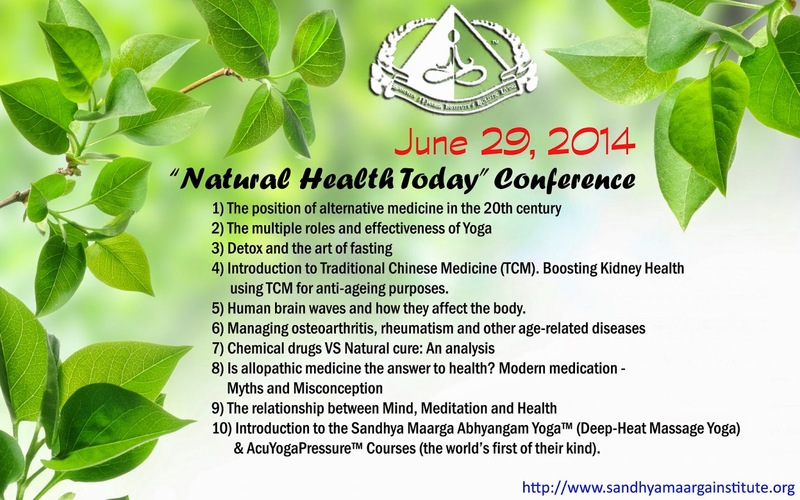 Boosting Kidney Health using TCM for anti-ageing purposes. 5) Human brain waves and how they affect the body. 10) Introduction to the Sandhya Maarga Abhyangam Yoga™ (Deep-Heat Massage Yoga) & AcuYogaPressure™ Courses (the world’s first of their kind). NOTE: Performances and light refreshment provided during tea break. LIMITED SEATS AVAILABLE. PLEASE RESERVE YOUR PLACE TODAY. PHONE +(6)011-16227321 FOR MORE INFORMATION.